When a scammer tried to get Sen. Cory Gardner's staffer to provide personal credit card details over the phone, they soon found they had called the wrong place. Gardner, R-Colo., is part of a bipartisan group of senators tackling illegal robocalls. His staffer quickly recorded the call, which was spoofed to look like it was coming from an internal Senate number. Gardner, who sits on the Senate Subcommittee on Communications, Technology, Innovation and the Internet, played a snippet of the call Thursday during a hearing to discuss the havoc robocalls wreak on millions of Americans each day. "The card number you said?" the staffer asked on the recording Gardner played. "Okay, just so you know, you just called the United States Senate line and this is being recorded and we know that this is an instance of fraud." "Oh," the scammer said on the recording. "Now I stopped it there because the next words have probably never been entered into the Congressional record before," Gardner said to the committee as he was met with laughs. But the scammer wasn’t afraid of being caught, he explained. "The U.S. government is aggressively pursuing criminal activities," Gardner's staffer said later in the call. "'If you can. I'll be waiting for you,'" Gardner said the scammer replied. "These criminals are taunting us because they think we won't act. They think we can't reach them. Congress has waited too long to take more aggressive action on robocalls and these scammers think that they're invincible." A call log displayed via an app designed to identify and block fraudulent calls on a cellphone in Orlando, Fla., Aug. 1, 2017. Experts stressed that tactics from criminal enforcement to stronger authentication systems are necessary for the industry and agencies, like the Federal Communications Commission and Federal Trade Commission, to send a message to robocallers: your days are numbered. According to the FCC's inaugural February report on the issue, the commission received 5,780,172 “Do Not Call” complaints, with about 65 percent of the complaints classified as robocalls, in fiscal year 2018. The report also cited YouMail, a developer of robocall blocking software, that found that in November 2018 there were, "5.1 billion calls placed for the month, 169.6 million calls per day, 7.1 million calls per hour, 2,000 calls per second, and an average of 15.7 calls per person." Despite the pervasive nature of robocalls, enforcement isn't as strong as it could be, experts said. The Wall Street Journal reported last month that since 2015 the FCC has ordered violators of the Telephone Consumer Protection Act to pay $208.4 million. But so far, only $6,790 of that figure has been collected, according to the Wall Street Journal. Even senators' families are urging for something to be done. Sen. Brian Schatz, the ranking Democrat on the Senate Subcommittee on Communications, Technology, Innovation and the Internet, said he received a text message from his mother on Tuesday. "'I am reaching out to my Senator. I just got spam calls to my own landline, supposedly from my landline. What is the regular person supposed to do except grin and bear it?'" Schatz said his mother wrote. "So I texted back: 'On it,'" he said. 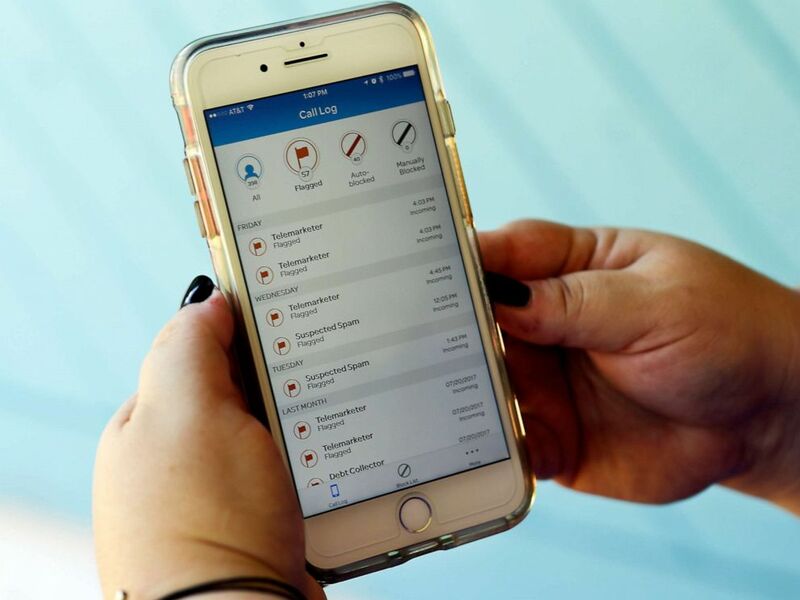 Some lawmakers hope to tackle the scourge of spam calls with the Telephone Robocall Abuse Criminal Enforcement and Deterrence Act. Known as the TRACED Act, it has bipartisan support from lawmakers like Sen. John Thune, a South Dakota Republican and chairman of the subcommittee, and Sen. Ed Markey, a Massachusetts Democrat. "There are no blue robocalls or red robocalls. There are just irritating robocalls," Markey said. 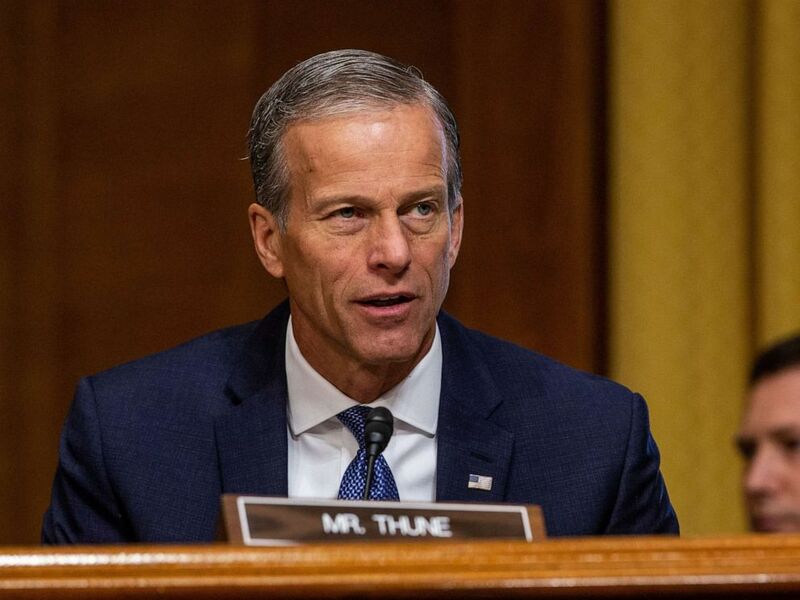 Sen. John Thune speaks during a Senate Finance Committee hearing in Washington, March 12, 2019. Experts at Thursday's hearing, like Kevin Rupy, a partner of the law firm Wiley Rein who testified on behalf of USTelecom-The Broadband Association, said the industry needs to attack the issue from multiple angles to ensure enforcement. "There's no single silver bullet to the robocall problem. There has to be a holistic, comprehensive approach that includes tools, that includes enforcement, that includes technologies," Rupy said, "but also education." One of the methods service providers have begun to implement is known as "STIR/SHAKEN." Rupy compared the technology to a notary public and said it works to authenticate the number that a call is originating from and enhance trace-back efforts. "Because that call origination will be authenticated at the front end, we can hop right to that point to get to them," Rupy said, which will in turn bolster enforcement efforts. Nebraska Attorney General Doug Peterson said catching the offenders of illegal robocalls is a difficult task, that would be aided by assistance from federal authorities. "To actually get them in a headlock, that's not easy to do," Peterson said during the hearing. "I think having in our toolbox the ability to enforce criminal penalties will help." "Nothing speaks as loudly as prison time," said Sen. Richard Blumenthal, D-Conn. But Margot Saunders, senior counsel for the National Consumer Law Center who testified on behalf of the center’s low-income clients and other organizations, said that enforcement efforts need to be focused on American corporations that use "lead generators," which are companies that make calls and sell the contacts they find, to make robocalls on their behalf. "I think the problem is that the people that are being prosecuted are the lead generators and they don't have any money," Saunders said. "And the way to actually increase enforcement is to go after the people who are paying them for those leads, which are the big corporations," such as insurance companies, cruise lines, film studios and more. Saunders warned that if the rate of telemarketing non-scam calls continues at its current pace, in 2019 it’s predicted that there will be over 11.2 billion non-scam telemarketing robocalls in the U.S.